Then, like now, I was a night owl and would just stay up til dawn drawing and watching TV. As luck would have it, “New Nightmare” was on one Saturday night. The only Freddy Krueger film Craven himself directed besides the original “Elm Street”, it delivered something very different from the other films. Because of its trippy concept, it wasn’t as big a success as the other films, but I think it stands as something bigger. The film follows Heather Langenkamp, who played the heroine Nancy in the original “Elm Street”, playing a fictional version of herself getting ready to return to the “Elm Street” franchise for a new film that Wes Craven is writing and directing. But as Craven gets closer to completing the script and Heather gets deeper into the role, a series of murders begin that look suspiciously like the work of Freddy. Fact and fiction begin to blend, and Heather wonders what’s real and what’s not. It turns out it’s not Freddy, but an evil entity taking the form of Freddy. An entity that is only held in when expressed through art and banished from the soul. It can only be contained by expunging the evil in something tangible…like a movie script. This was mind-blowing to me as a kid. A dark entity only held at bay by the power of creativity, it seems like something Neil Gaiman would come up with, but it’s all Craven. Craven’s films were never just about scares or violence. His horror was ABOUT stories, how we take them in, and what kind of people they make us. I’ve always been a fan of horror. I’ve thought long and hard about writing some myself recently. 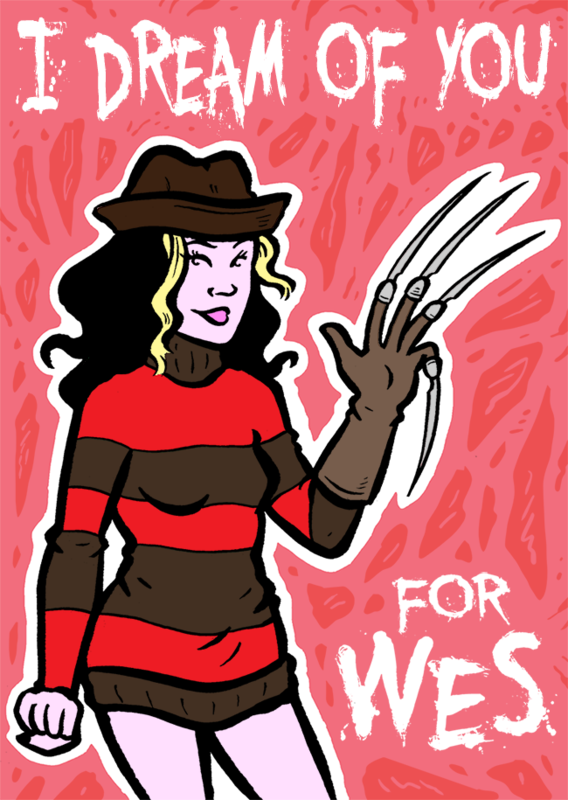 I didn’t think, until I got the tragic news, how much someone like Wes Craven had influenced my life. For now, I’ll just leave you with the trailer for “New Nightmare”, hoping a mind-blowing scare is in store for you somewhere down the line.